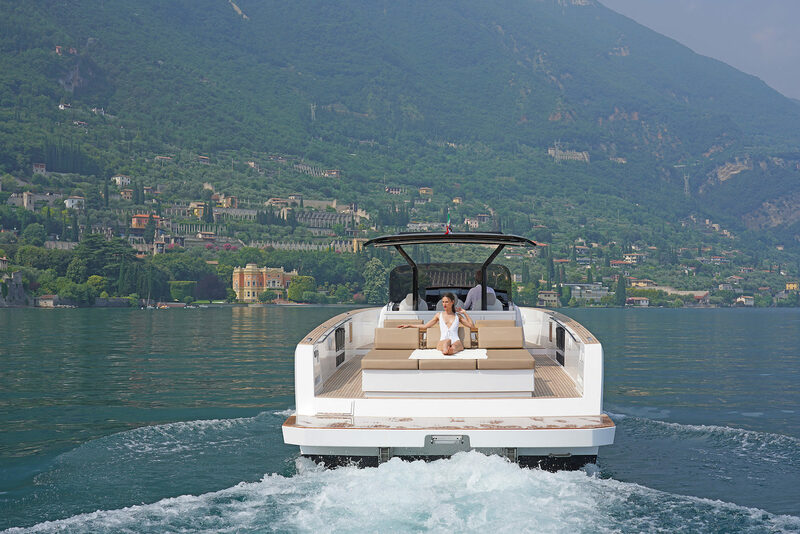 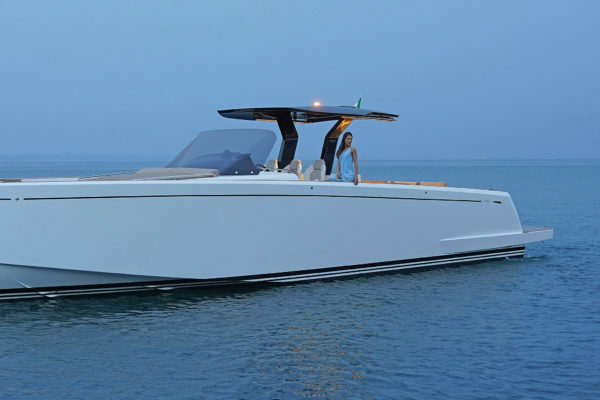 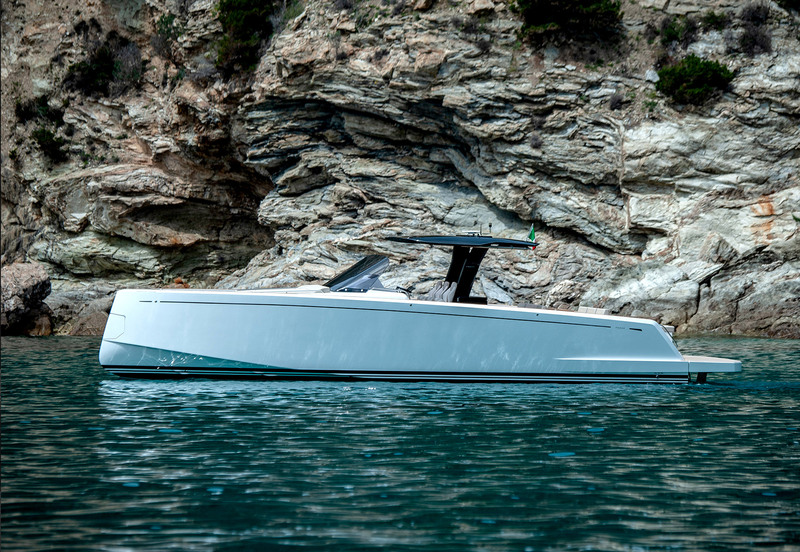 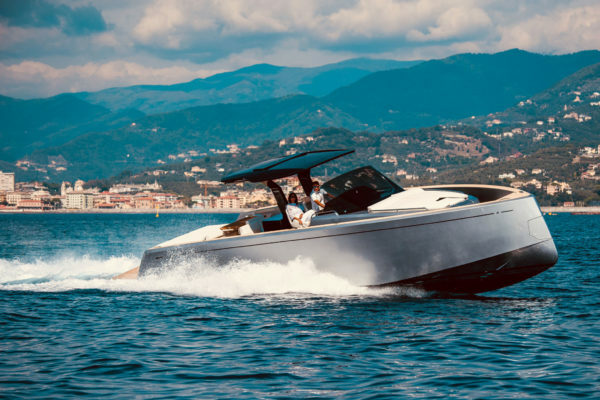 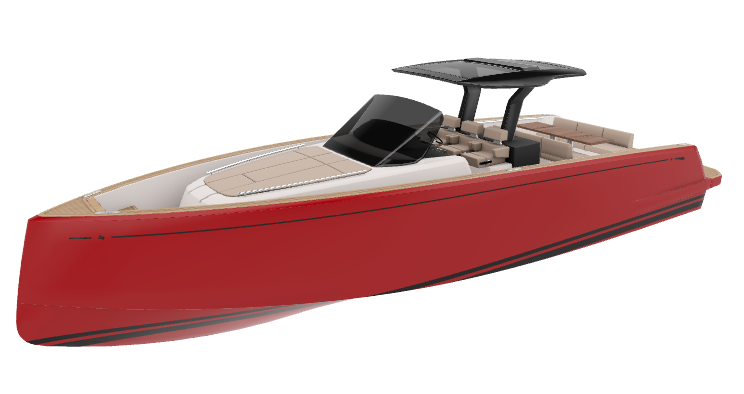 The Pardo 43 reflects the elegance and class of Italian craftsmanship. 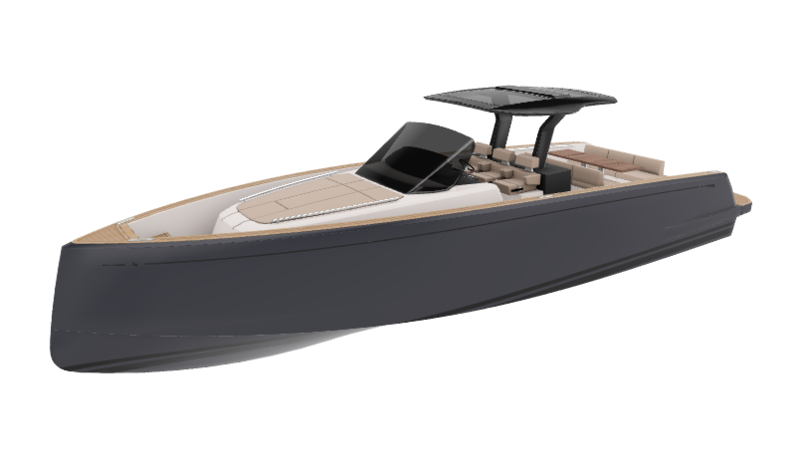 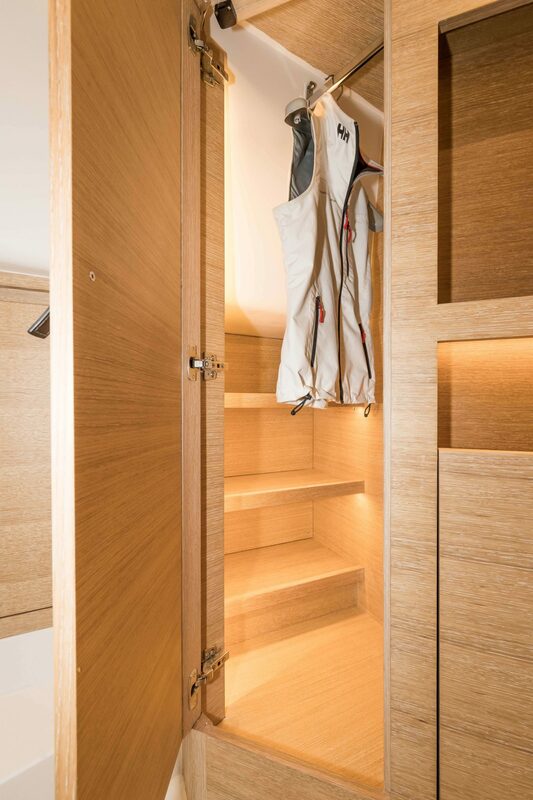 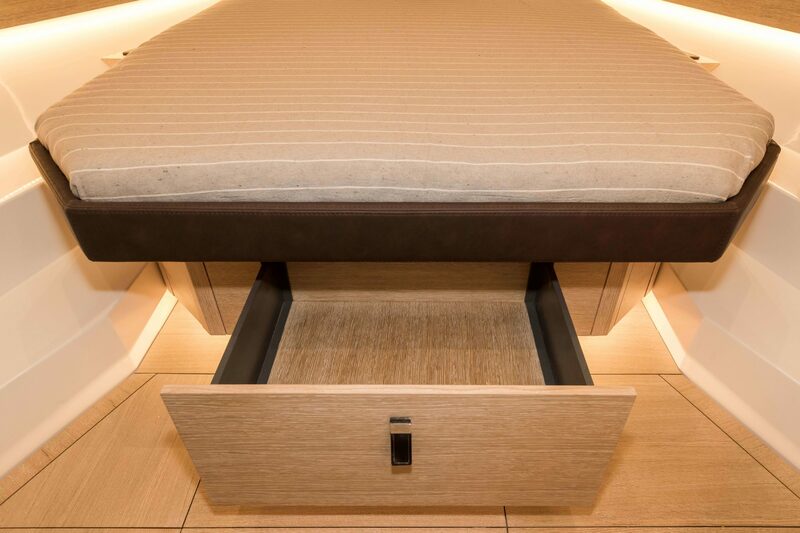 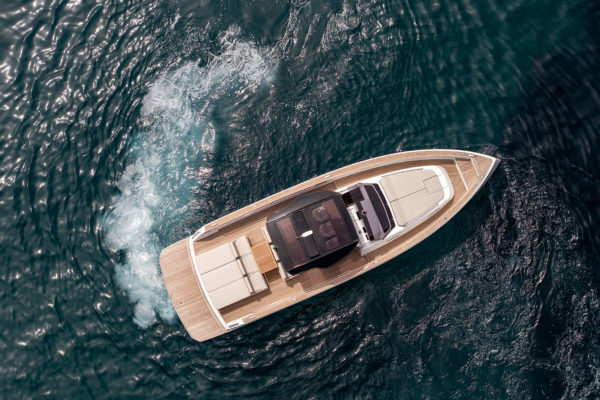 A yacht unequalled in design, comfort and performance. 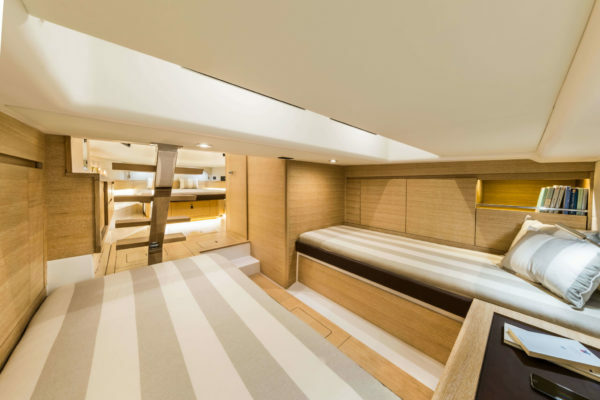 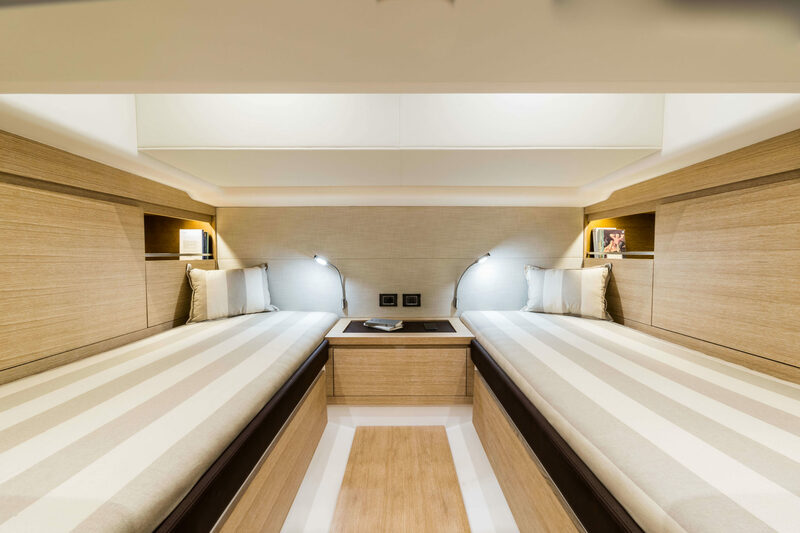 A spacious upper- and lower deck, providing the ultimate freedom for you and your guests to walk around the yacht. 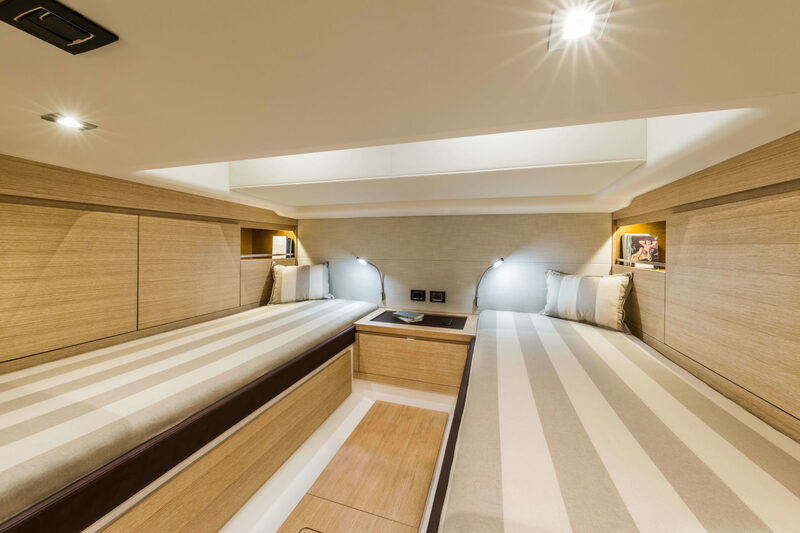 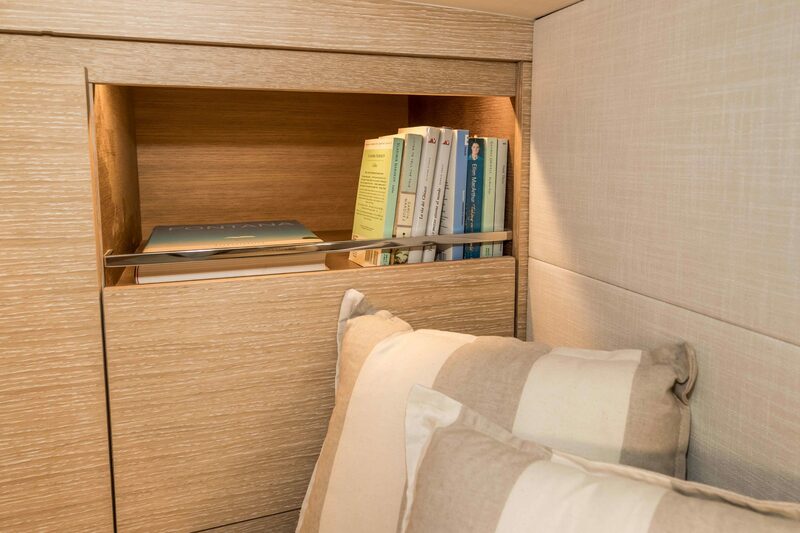 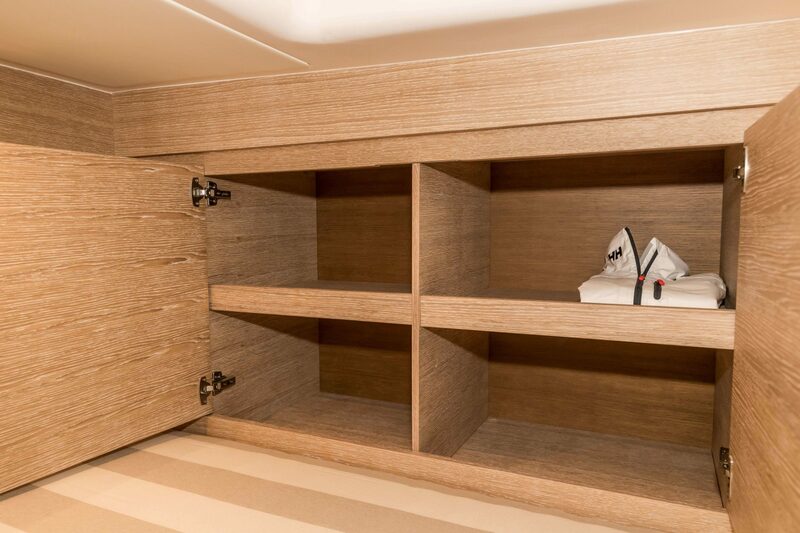 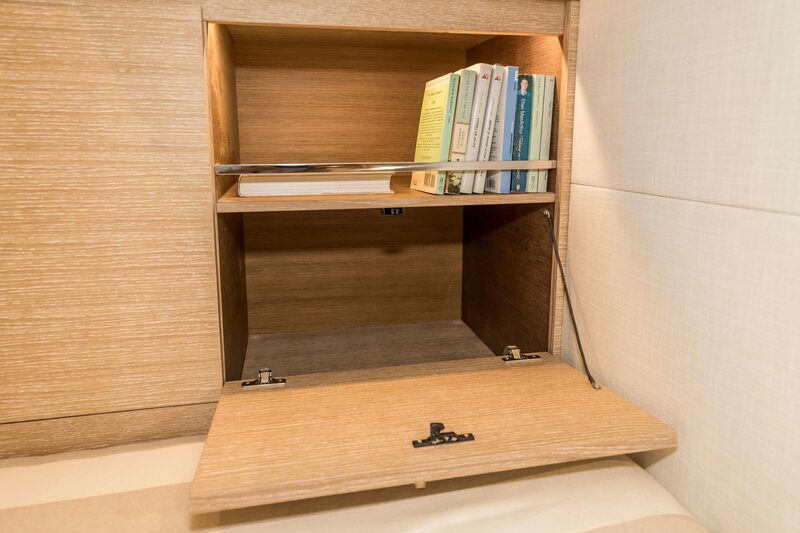 Built especially for the yacht owner who values quality time with friends and family. 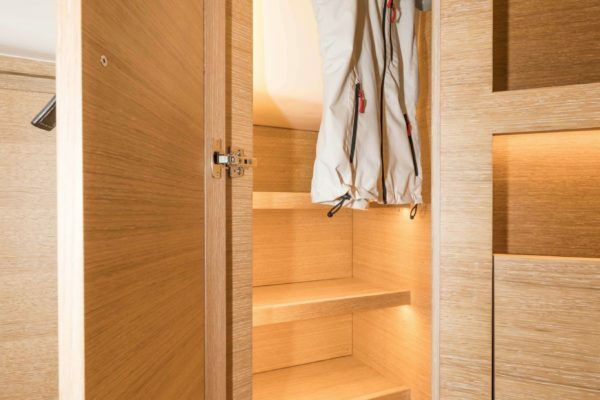 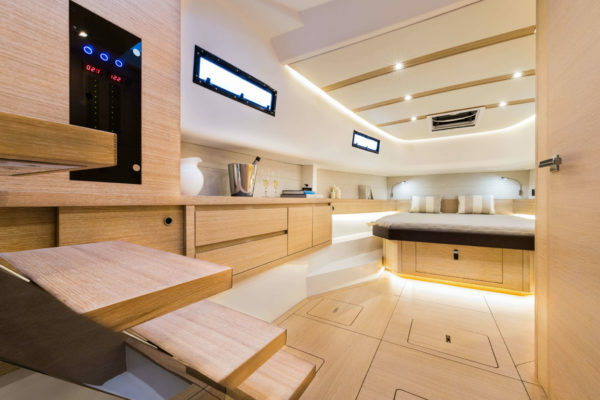 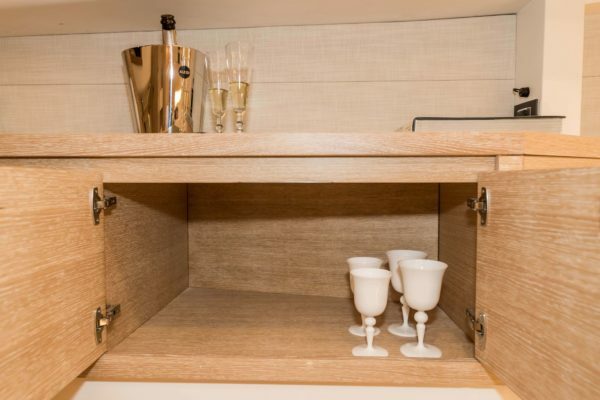 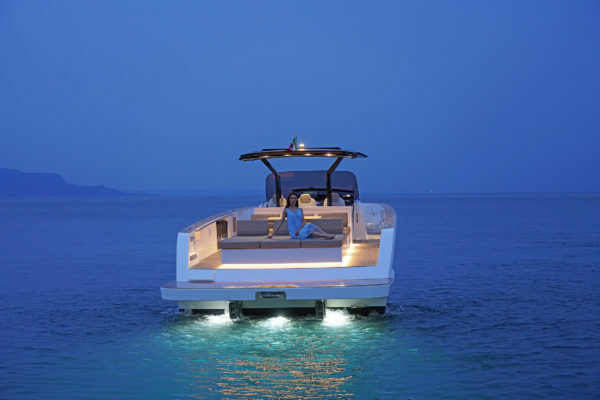 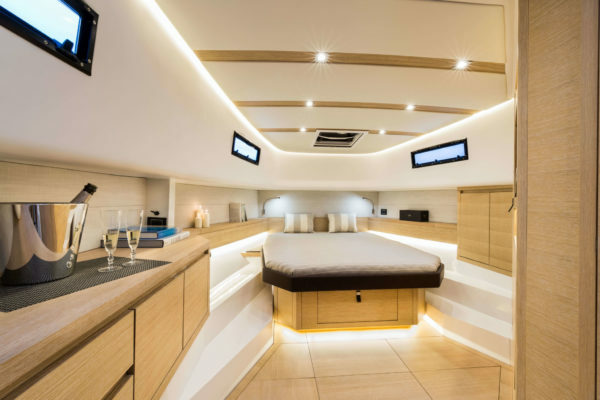 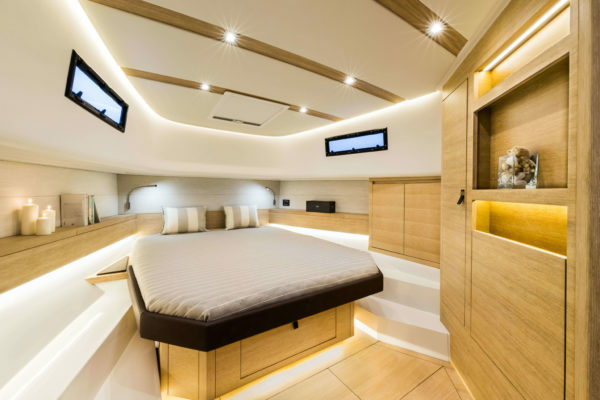 The Pardo 43 is equipped with two royal sundecks, an outdoor kitchen under the T-Top and an outdoor seating area. 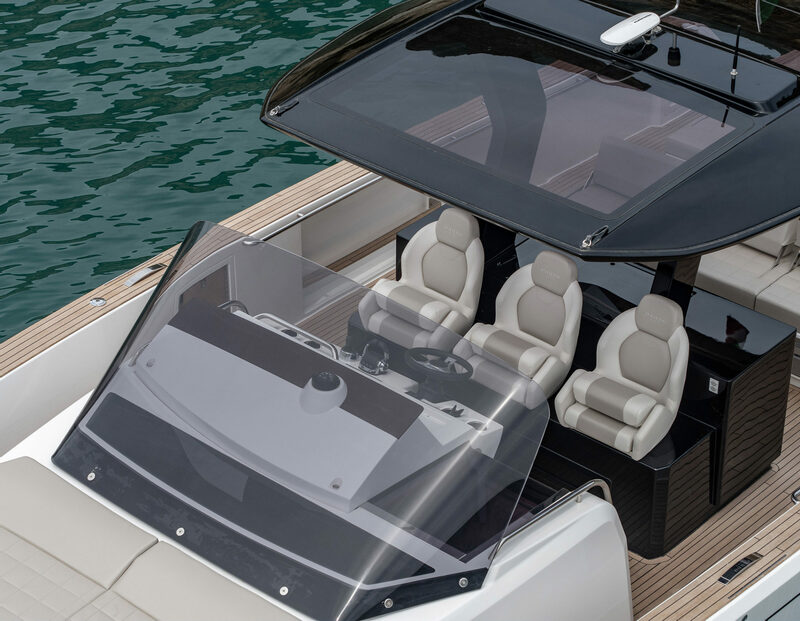 The upper deck is multifunctional and customizable. Extend the swimming platform for the maximum water experience, perfect for swimming. 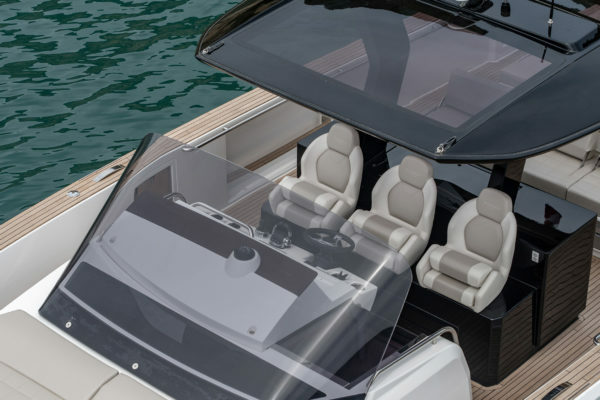 Luxurious comfort, as well as ultimate manoeuvrability and handling. 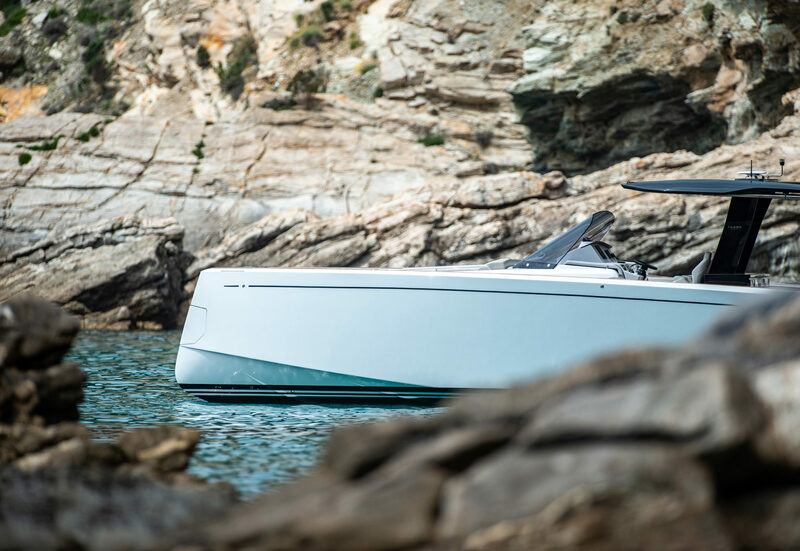 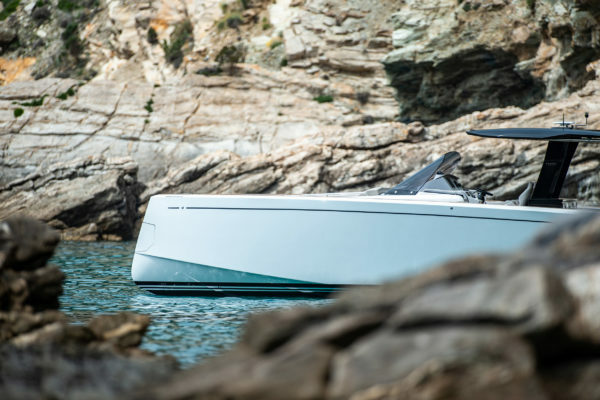 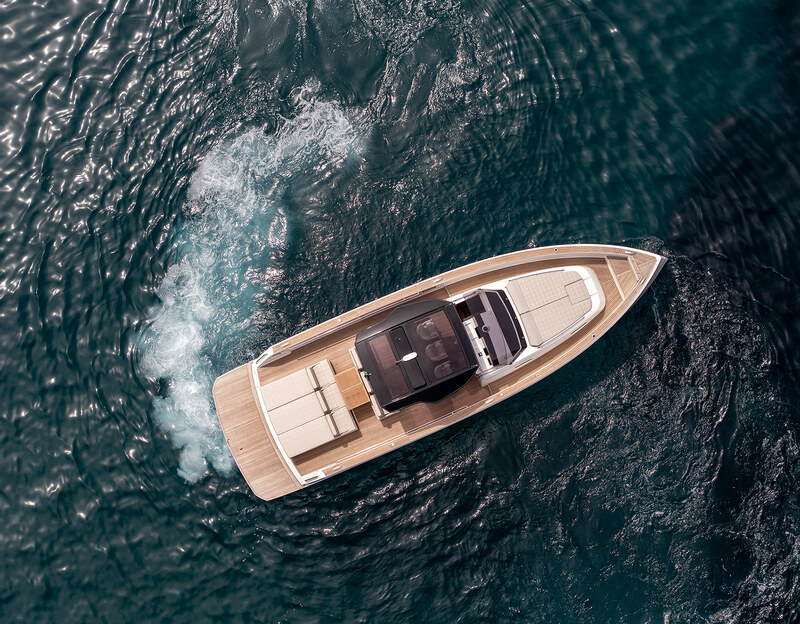 The Volvo Penta IPS engines give the yacht powerful, stable and efficient drive, combined with ultimate manoeuvrability and handling. 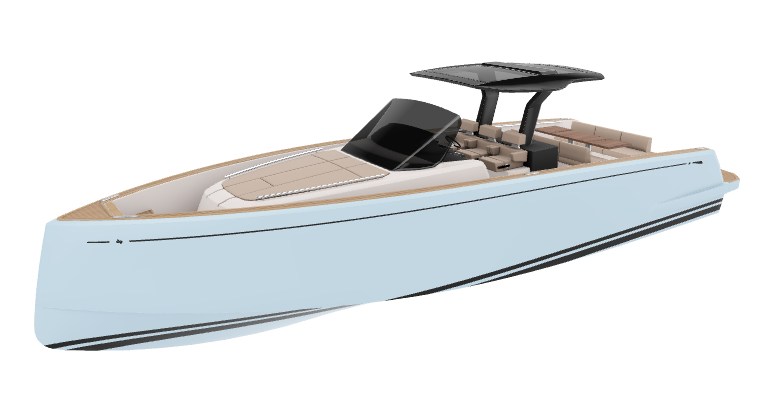 Pardo 43.